The publishing world has changed! An explosion in printed books, E-books, and self-publishing has contributed to more new titles coming to market than ever before. With so much happening, how does a new author stand out from the crowd? Not to mention turn a profit. In Think Like a Publisher: 33 Essential Tips to Write, Promote, and Sell Your Book, Randy Davila, President of Hampton Roads Publishing & Hierophant Publishing, explains the nuances of the publishing industry in plain English, and gives authors all the tools necessary to be successful in today�s rapidly changing publishing world. 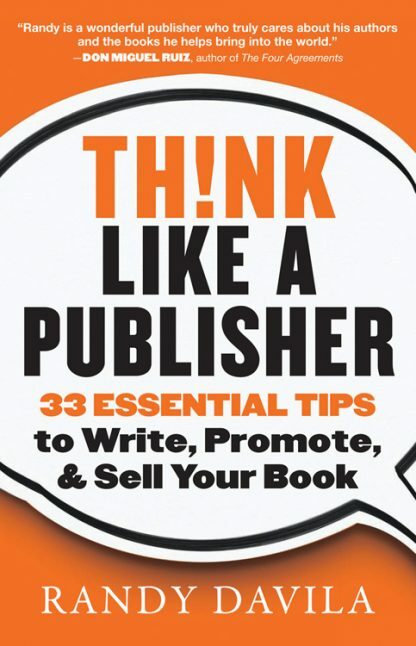 Broken down into three easy to follow categories of Editorial, Marketing, and Business specific tips, Think Like a Publisher offers invaluable insight into how publishers think about manuscripts, marketing, and their partnership with the author. The ins and outs of the business side of publishing�contracts, royalties, agents, and more! For any writer who has felt intimidated by the prospect of bringing a book into the world, Think Like a Publisher offers a one-stop guide to understanding the publishing industry and what it takes to make your book a success! Randy Davila is the president of Hierophant Publishing and Hampton Roads Publishing Company. He has published many New York Times best-selling authors, including Eckhart Tolle, Byron Katie, Neale Donald Walsch, Richard Bach, Jack Canfield, and more.